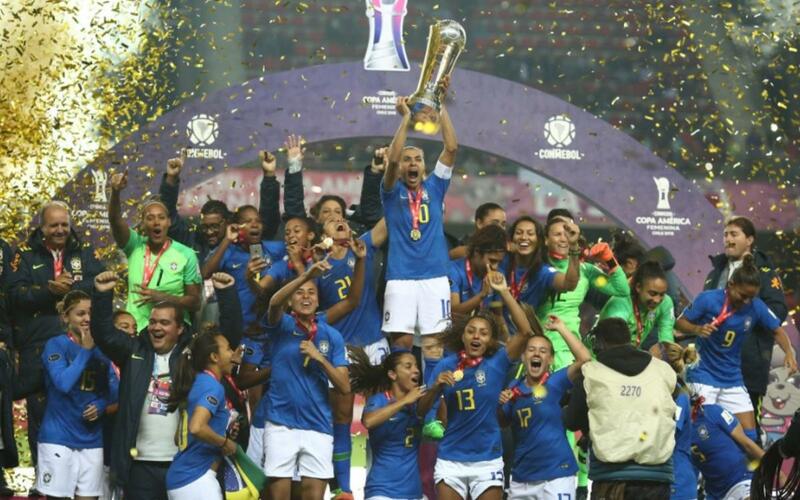 FC Barcelona Women’s player Andressa Alves and Brazil won the 2018 Copa América Femenina in Chile, the seventh time the country has won the quadrennial international tournament. Brazil was perfect in this year’s competition, the eighth edition, winning all seven games played. The title qualifies Brazil for the 2019 FIFA Women's World Cup and the 2020 Summer Olympics in Tokyo. Alves, the FC Barcelona forward, was a regular in the Brazil lineup, and scored one goal, against Boliva.